Even experts often resort to the word “bizarre” when describing pterosaurs, the winged dragons that ruled the skies for more than 160 million years. This is especially true of the group of short-tailed pterosaurs called anurognathids, which used to dart and bob through Mesozoic era forests like bats, hawking for insects. Now it appears anurognathids and other pterosaurs may also have worn a weirdly varied coat of feather- and fur-like structures, according to a new study published Monday in Nature Ecology & Evolution. 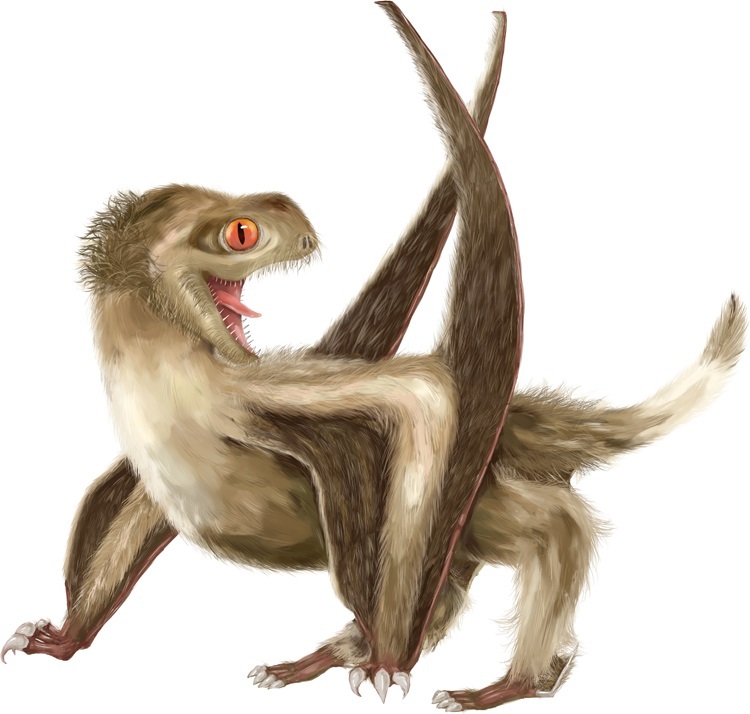 A team led by paleontologist Zixiao Yang from Nanjing University in China reached that conclusion based on two near-complete, pigeon-size anurognathid pterosaur specimens found in northern China. Fur or feathers? The four proposed pterosaur skin structures. four different types of pycnofibers, distributed around the animal’s body in ways that suggest different types of pycnofiber performed different functions: thermal insulation on the neck and head, for example, or reducing drag on the wings. One type of pycnofiber is a simple, hairlike monofilament. 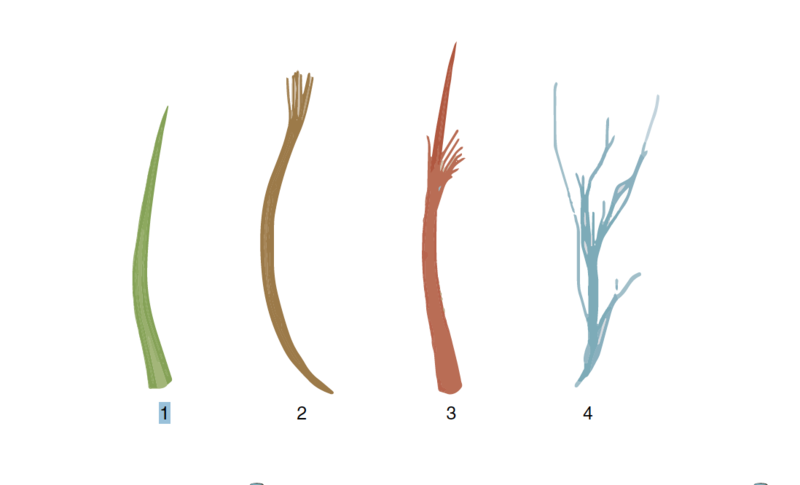 But three others appear to be branched in a way the authors describe as “remarkably similar” to bird feathers. The similarities go beyond shape, or morphology, they say, to resemblance at chemical and cellular levels. Based on this finding, the study also argues “featherlike branching integumentary structures” may have evolved first not in dinosaurs, as generally thought, but in some primordial archosaur—a common ancestor of both pterosaurs and dinosaurs, including modern birds. This would mean the ancestor even of decidedly nonavian dinosaurs like Stegosaurus might have been covered in quills, rather than scales. It would also push the origin of feathers out of the Jurassic period and back 60 or 70 million years to the dawn of the Triassic period. That early date for the appearance of feathers would fit, says Michael Benton, senior author of the new study and a paleontologist at the University of Bristol in England, with the transition from a sprawling to an upright stance and to warm-bloodedness in many animal groups—along with other evidence indicating “the pace of life sped up” as Triassic species struggled to recover from the Permian–Triassic mass extinction, in which 70 percent of terrestrial vertebrates had vanished some 252 million years ago. It would also fit with evidence most of the genes controlling feather production were present in vertebrates before the origin of dinosaurs. The counterargument, Benton says, is that big dinosaurs like Stegosaurus or Brontosaurus lacked feathers. But that is no more strange, he says, than elephants or whales having little or no hair—even though both evolved long after the evolution of hair in mammals. In a commentary published in the same issue, behavioral ecologist Liliana D’Alba of Ghent University in Belgium, who was not involved in the new study, remains skeptical. The study demonstrates that the chemical composition of the pycnofibers is similar to that of feathers, she wrote, and both scanning electron microscopy and energy dispersive x-ray spectroscopy show the fibers contain melanosomes—the same pigment packets that impart color to feathers and to mammal hairs. But the assertion some pycnofibers are branched like feathers is based, she says, on subjective interpretation of “gross filament morphology,” or shape. She notes that a previous attempt by other researchers to characterize pycnofibers as featherlike failed to persuade most paleontologists. It may require developments in other advanced technologies, she suggests, to resolve the question. Attempts to bring down that kite—by rhetorical shotgun fire—have now commenced. This entry was posted on December 20, 2018 at 9:44 am	and is filed under Cool Tools. Tagged: Feathers, fur, pterosaurs. You can follow any responses to this entry through the RSS 2.0 feed. You can leave a response, or trackback from your own site.